Ald. 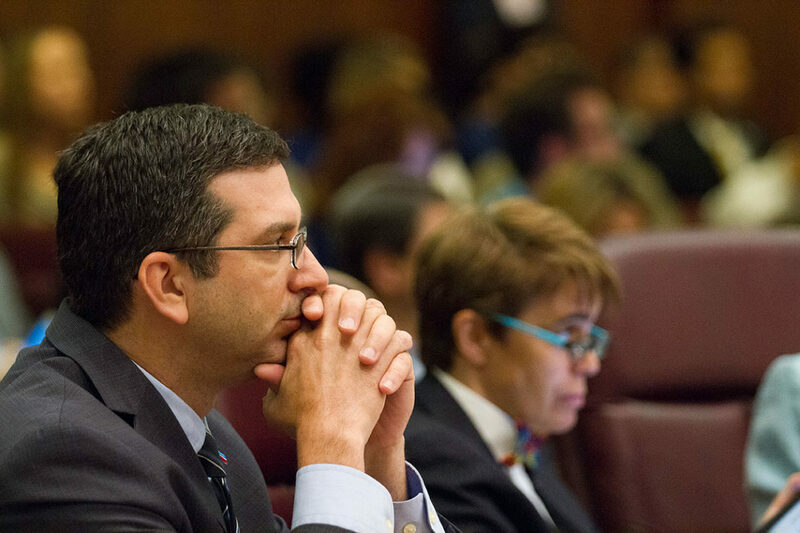 Scott Waguespack (32nd) announced Friday that he would be donating the $1,450 he has received over the years from disgraced Ald. Ed Burke to an organization of black Marine Corps veterans.The announcement on Twitter came after the Chicago Reporter named Waguespack as one of 36 sitting aldermen who have received campaign money from Burke, who faces charges of attempted extortion. Waguespack, who is an outspoken member of the council’s Progressive Caucus, was initially non-committal when asked last week if he would be returning or donating the money. But he told the Reporter Tuesday that he had a change of heart after he received an appeal from Ald. Roderick Sawyer on behalf of black veterans hopig to rebuild their community center. “I was just sitting there and saw the Montford veterans needed some money and just thought they were a good place to donate some money,” Waguespack said. The Montford Point Marines were the first African-Americans to serve in the U.S. Marine Corps, stationed at a segregated base in North Carolina during World War II. The group’s community center, at 70th and Vincennes in Park Manor, has fallen into disrepair and they need $200,000 to fix it up and pay back taxes, according to a CBS 2 news report. Waguespack’s donation is the largest so far for the Montford Point Marine Veterans Center fundraiser, according to the group’s GoFundMe page. Waguespack is one of just five aldermen running unopposed in next month’s municipal elections. He acknowledged that it puts him in a bit of a different position than his colleagues — and stopped short of suggesting they follow his lead and return Burke’s campaign contributions. Nearly three-quarters of the sitting City Council has received some money from the embattled alderman, who was arraigned on federal extortion charges last week.